Keeping your business’s information safe and secure online is not easy. According to the 2013 Cost of Data Breach study carried out by Symantec and the Ponemon Institute, US companies that experienced data breaches had had an average of 28,765 compromised records. In addition, the cost of data breach per record is a staggering $188. In general, a single data breach incident can cost a business millions in lost revenue and customer trust. For this reason, it is necessary to keep your data secure using the following tips. Many businesses do not reconfigure default settings when they install new IT hardware or software. This makes it easy for cybercriminals to hack into such systems because they know almost all the default settings. The rule of thumb is to change default passwords in your systems. Make sure your new passwords have a combination of lower and upper case letters, symbols, and numbers. Furthermore, they should be at least 10 to 12 characters long. Avoid using common names or words spelled backwards. 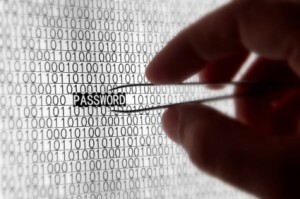 It is easy for hackers to hash and decode such passwords. Limit the number of people of people in your organization who can access sensitive information. Remember an employee can inadvertently expose your business’s data by downloading an email attachment that contains malicious code. It is wise to buy and install software that can track inbound and outbound communications to make sure that information comes from trustworthy sources or leaves to intended recipients. If certain employees require remote access to your organization’s computer system, ensure they can only gain access after providing a username and password. You could also provide them with a token that displays multiple passwords that change regularly. Encrypt sensitive and private data such as client’s credit card details. This makes it harder for a hacker to make sense of such data in the event of a data breach. To start with, encrypt the hard drives in your computers. For example, if you are running the Windows operating system, use Microsoft’s BitLocker software to carry out full disk encryption. Since most businesses use external thumb drives and USB hard drives, it is wise to encrypt them as well. If you use cloud-computing platforms such as Dropbox or Box to store documents, encrypt everything that you store there. For instance, you can use TrueCrypt to encrypt documents you store in Dropbox. Finally, encrypt outgoing and incoming Internet traffic. For this purpose, set up a virtual private network (VPN) to encrypt data that passes through this secure “tunnel.” Finally, install firewalls and monitor your log files regularly to identify hacking attempts. Mobile devices such as smartphones and tablets have made it easy for people to access information on the go. However, they have also made it easy for cybercriminals to hack into the computer systems of organizations and steal data. According to a study carried out by Experian, the Bring Your Own Device (BYOD) culture is one of the leading causes of data breaches at the workplace. With this in mind, it is advisable to create a robust mobile device action plan. This includes requiring employees to encrypt their mobile device data, install security apps to prevent data theft, educate employees on data security, or even banning the use of mobile devices to access confidential information. In summary, every business or organization that uses the Internet must take steps to secure its data from cybercriminals. This includes creating a mobile device action plan, changing default passwords on software and hardware systems, limiting access to sensitive information, and encrypting data. Even with such measures in place, do not rest on your laurels. Finally, you should keep abreast of new developments in data security space. Author Bio: Joshua Turner is a writer who creates informative articles in relation to business. In this article, he describes a few benefits of keeping information organized and aims to encourage further study with a UAB Master of Science in Information Systems Online. I have all kinds of crazy passwords that people would never guess….I hope! It’s important because there are all kinds of scams and scammers out there! I use TrueCrypt for all our sensitive data. Backups of the data then stay encrypted in their TrueCrypt lockers.